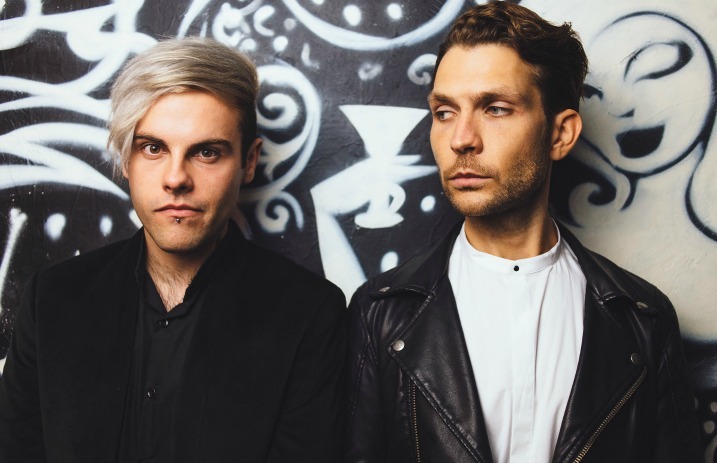 Kier Kemp, former co-vocalist and guitarist of FVK (Fearless Vampire Killers), has annouced is new project, Inklings. The band comprises Kemp (vocals/guitar) and Michael Lane (guitar), whom fans may recognize from FVK's “Neon In The Dance Halls” music video. Following Kemp's departure in July, FVK announced they would disband, citing “it would be wrong to continue this band without Kier by our side.” While Kier has gone on to form Inklings, it has been all but promised that the remaining members of FVK (Laurence Beveridge, Luke Illingworth, Shane Sumner and Drew Woolnough) will continue to create music together. The band recently released their final two songs, which we'd interviewed them about while they were in studio in April. They had initially planned to release the songs this summer. Stay tuned to AltPress in the coming weeks for my take on traveling halfway around the world to witness FVK's farewell shows.